I am treating myself to a 4-day weekend! Yay! Since we are running low on all the basics, I made a run to the grocery store and farm supply store today. Along the way I passed two gorgeous fields of blooming sunflowers. I had to stop and snap some photos. I only had my phone with me for the photos, so you can bet Alan and I will be making a trip back down there tomorrow or Saturday so I can take the "real" camera! 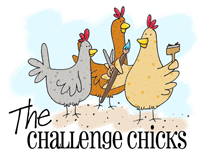 I am hosting this week's High Hopes challenge, and the challenge topic is Grow Garden Grow! 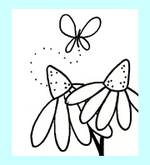 For my project, I chose to use the cute flower seed packet image. 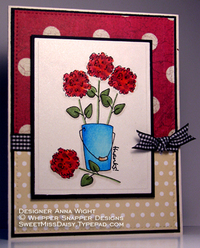 I stamped the seed packet image on cardstock and colored it up using Touch Twin markers. I added the "Friendship" and "Seeds" words to the packet using stamps that coordinate with the seed packet image. Using an Xacto knife, I cut out the center window of the stamped image. I folded the packet into an actual "packet", slipped in a store-bought package of sunflower seeds for planting. The image of the girl and sunflowers is on the actual sunflower seed packet that's showing through the cut out window of the stamped image. Once the sunflower seed packet was inside, I lightly sealed up the packet I made and set it on the front of the card. I wrapped some garden twine around to keep the packet in place. I think this will make a cute little note card for a friend. Not only a nice little "hello", but seeds to plant in her garden, too! *Phttththththtth! * I say to you. 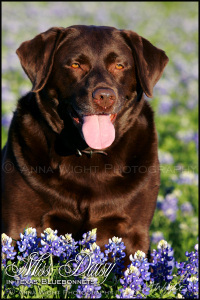 Ours burnt up in the Texas summer sun. The grasshoppers still find them romantic, at least. 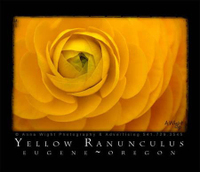 Because we all need a little SUNSHINE in our life, here's a sunny Ranunculus for you. The weather outside is DREADFUL, so how about some pretty poppies (a photo from my archives) to cheer us all up a bit! The weatherman says "sunny & 100" for as long as we can see. Dreadful. Hope you enjoy the fun 4th of July holiday weekend! I've got some gardening to do... and will be sure to take a few dips in the pool, too! Occasionally farmers in the area will grow sunflowers, and let me tell you, they are my FAVORITE of all the local crops grown. 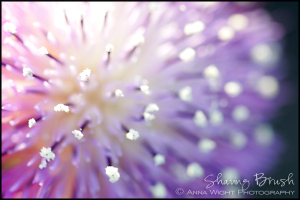 These photos are from 2009, taken in a LARGE field of blooms. I ordered some heirloom rattlesnake pole bean seeds (they're supposed to be quite heat resistant), and wanted to get them planted. I decided to build a "rustic" tee-pee-style trellis and plant the pole beans on their own garden structure. We had a very large hackberry tree blow over during a winter storm, and some of the branches looked like they might work nicely for bean poles. I took the saw out to the fallen tree and chose some limbs for my project. Then the task of digging began. About halfway through the hole digging process, I was wishing for a small stick of dynamite. When our ground is dry, it's "bullet proof" as Dad would say. Dynamite would have finished the job in no time at all! But with no dynamite on hand, I continued to dig. And dig. And dig. Adding a bit of water helped ease things along. The hole I dug is about 4 feet wide, and 1 foot deep. Once I had all the grass removed and the soil worked, it was time to enlist Alan's help. He had the good idea of setting a standard t-post in the center of the bed and using it to help support the branches. I found an old rusty one (better than bright green, don't you think! ), and Alan set it in place. Once we had the branches in place, we used wire to hold the structure to the t-post, and to join anywhere two pieces of branch touch. It really is quite stable! The tee-pee isn't quite 9 feet tall, and has (I'm hoping) enough strength to support the pole beans as they grow. I planted bean seeds at the base of each branch, and at the center near the t-post, then wrapped the lower portion of the structure with deer netting to keep the critters out. The pink arrow shows the location of the tee-pee, in this photo taken on Sunday. The next garden photo will include it. I'm excited to see our TOWER of BEANS! And speaking of exciting, look what I've got in the garden this morning! Yahoo!!! The small zinnias are starting to bloom!! This little thing isn't much larger than a .50cent piece, but it sure is a welcomed sight to see! The giant zinnias are still growing... they've got a bit more growing to do before they start blooming. PS: If you're wondering why we mow the yard "weird", leaving patches of tall grass... we like to let some of the grass go to seed, and we like the wildflowers to grow too, so we mow "paths" for us to walk. Walking through tall grass isn't fun (spiders, spiders, SPIDERS!) The wacky paths work for us. *grin* I will be mowing around the trellis area -- don't need that grass going to seed in my newly cleared soil! Hopefully you've been able to check out the samples the featured designers have shared for this release so far. Wonderful ideas, all of them! 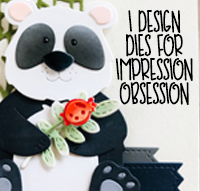 The best part of being an illustrator is seeing what other stampers do with my art. So fun! I was able to get several cards made using the smiling flowers and garden sentiment from Garden of Friendship. I made stamping extra easy by mounting the two images together on the acrylic block. Having them mounted like this made for quick and EASY stamping! Ink, stamp, ink, stamp, ink, stamp... Placing images and sentiments like this on a single block means there's no need to line up the sentiment each time. Get it in the right spot once, and you're ready to stamp again and again and again! I think these flowers make very cheery cards, and who doesn't like happy, smiling flowers!? Here's another card I made, using the exact same image/sentiment combination and placement. On this card, I added glitter to the petals of the daisies. Happy, smiling, SPARKLY daisies! Ooooh la la!! We had a lazy Sunday on the farm last week, and I think we'll have another lazy one today. Yup, I think we shall! 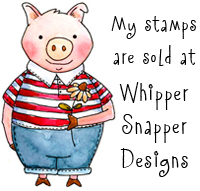 I've been crafting this weekend, making cards with lots of my recently released Whipper Snapper stamps. This one (called Three Flower Friend) is a personal favorite, and just screams "spring" to me. I can't wait for the garden shops to line their tables with rows and rows of beautiful flowers! I have a few in mind this year for the garden. 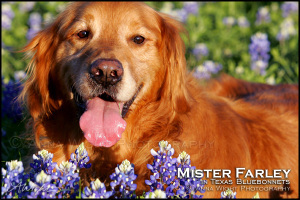 So while some of you are still experiencing winter weather conditions, we can delight in the knowledge that spring is on its way, and it won't be long before we're able to enjoy the cheery faces of our favorite flowers for another season! Today I spent a bit of time doing a little work in the garden, though I barely put a dent in the work that needs to be done out there. This cute little crow garden decoration stands in a pot of zinnias, which are in a sorry looking end-of-season state. But they keep blooming, and I don't have the heart to pull them yet. The grass has grown up around the baskets of flowers, and the patty pan squash from the neighboring squash pit is filling in the vertical space around the flowers. Speaking of the squash pit, here it is in all it's glory. The cabbage loopers really did a number on the leaves. Amazingly enough, the plants are still putting on new squash, and new leaves are coming in too! 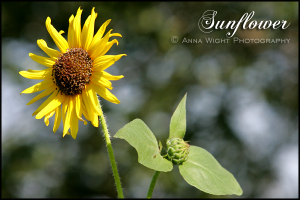 The sunflowers that once stood tall with sunny yellow faces now lean in various directions, preparing their seeds for fall. Soon I'll snip their long stems and set their seeds out for the birds. This is the zucchini plant that I was able to best "save" when the cabbage looper outbreak occured. You can see damage to the leaves near the top of the photo, but for the most part this plant pulled through nicely. And, as you can see by the big yellow zucchini at the center of the photo, it's still putting on fruit! It was pretty hot here today -- upper 90s -- and I just couldn't do as much as I would have liked, due to the heat and humidity. But thankfully we're supposed to get some rain and cooler temps this week (gotta love it when huricanes make it to central Texas! ), so in the evenings I can get a few more things done in the garden. I've got some spent cucumber plants to pull, and some way-past-prime tomato plants that need to come out, too! We've had a couple of cloudy days, and that means slightly cooler temps -- of course, saying that it's been "cooler" is being generous. It was 90-95 instead of 100-105. But still, cooler just the same. That's all about to change, so I thought I'd better document the garden before it shrivels up from the blazing HOT sunshine we're about to endure in August. Here's a rough sketch to give you an idea of what's where. If you click on this image, it will display much larger for you, and hopefully you can read my chicken scratch handwriting. I had to put up a last minute make-shift trellis for the cucumbers that have overtaken the place. I planted them along the fence thinking they would trellis up the fence. But nooooooo, 90% of them decided to grow out into the grass, making it difficult to find the cucumbers. So, before they got too out of control, I put up a string trellis and started them growing UP! I purposely left the string of the trellis rather loose, so I could still reach through and get to the plants closer to the fence. Believe it or not, there are pole beans growing up the fence (as well as up a handful of mammoth sunflowers), and I'll need to be able to reach through to pick the beans. These two cucumbers thought they were hiding from me.... not likely! They're about to be made into pickles! Here you can see how far the trellis is from the fence. So far I haven't had trouble getting to the farthest back branches -- we'll see if I continue to have good luck with it. If it starts to get challenging, I can always reach my hands through the fence from inside the chicken yard. See those sunflowers in the background? They're nearly taller than the coop! The tallest is about 10' tall! Here's another cucumber that decided to grow inside the chicken yard. Brave little cucumber, brave. On the other side of the coop, things are just as out of control. The squash has completely out grown the boundaries of the raised bed it's planted in. You can see where the corners of the raised bed are -- they're marked with the stakes. So much for having 3' walkways between the beds! Behind the squash pit is a raised bed of beans and more sunflowers, and then of course the corn bed. The other side of the squash pit is just as crazy. And the plants are putting on blooms like you wouldn't believe! I think we're going to be in squash heaven soon... I can't wait for all the sunflowers to open up as well! I planted them in the center of the squash pit, knowing they'd be able to grow up from the center without disturbing the squash plants. There are also a few cucumber plants in the squash pit, too. Cucumbers everywhere, I tell you! Even in the corn! The corn bloomed and covered everything in the area with corn pollen. If you look closely, you can see that we even have some ears of corn on the stalks! Very exciting! They've got pretty red tassels. We had a big gust of wind come through yesterday , and it really put a lean on the corn. I strung a wire between two corner posts on the raised bed, and that helped keep the corn from being blown over completely. Today it's standing up nice, straight and tall again. Directly behind the bean and corn beds is a watermelon plant, followed by a row of pepper plants. The peppers looked really sorry for a long while, and are just now starting to look like they might actually produce some peppers. A few of the plants have little peppers on them, and others are just starting to put on blooms. Like everything, they got a little late start, but that's ok... better late than never! Behind the row of peppers is a row of tomato plants that have yet to be found by the hornworms. Cross your fingers that they stay hidden from those buggers! Oh, and see that squash plant that LOOKS like it's in the same row as the tomatoes? Well, it's not. But it is taking over... it has grown so far away from it's own row that it is now at the end of the tomatoes, and moving it's way towards the end of the pepper row! I wonder, will it ever stop!? There is a pumpkin vine, and watermelon vine, working their way past those rows, too. They're on the move. Behind the tomatoes are two rows of yellow squash, and then the pumpkins and watermelon plants! They are really growing! They have sent long runners up about half the length of the garden. I had to mow an area next to the garden so I could direct the pumpkin runners to the open area, instead of letting them take over the tomato, squash, and pepper rows. Every day looks different in the garden. Things are growing so fast, considering these plants weren't even started until June! I've got big melons! *Hahahaa* Ok -- seriously, the cantaloupes are growing! I am very excited about the sunflowers, too. I've never really had good luck growing sunflowers, and this year it seems like they're doing great! I love the cheery spots of color they add. I love that they stand tall along the chicken yard fence, and provide a natural shade for the ducks and chickens to enjoy. And the Wheelie bugs like them, too! Oh, and this pretty flower is blooming in the garden too... anyone know what it is? I only planted Four o'Clocks and nasturtiums in the garden, and this is neither. I wonder if it was a misplaced seed in one of the packets. Everything about this plant is somewhat sticky. The flowers are pretty large ... not quite 2" wide. 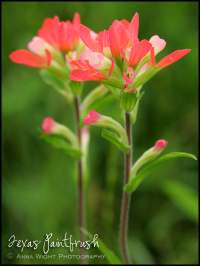 UPDATE: Thanks to a WONDERFUL blog reader, Carol Dee, for identifying this flower as a WEED! Hahaa! Just my luck! Seems it's a Martynia, often called Devil's Claw or Unicorn Plant, from the Pedaliaceae family. Thanks so much Carol! How interesting! Finally, here's a photo especially for my friend Jennifer..... *giggle* Here's lookin' at you! Late last week, Alan had to make a trip to a neighboring town on a road we seldom travel. As soon as he saw "IT", he knew I'd want to make a trip out there, and soon! 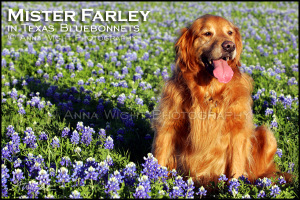 He passed a HUGE field of beautiful blooming sunflowers! As far as you could see, SUNFLOWERS! He was right -- I DID want to go! We would have gone out last night, but it was cloudy in the evening, and I wanted evening sunshine. Tonight, we had evening sunshine! Guess where we went!! The field was amazing, and the light was just right! Alan waited by the car while I happily shot photos of the field. If we farmed our land like this, you can bet I'd want sunflowers year after year! Yeah, sure, I know about crop rotation and soil rejuvenation between years of crops, but it just doesn't get any prettier than this. 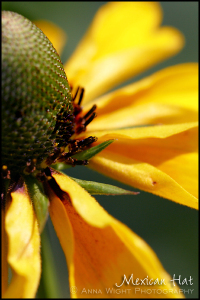 Perhaps we would just have to figure out what other flowers we could grow in the "off-sunflower" years. Down here, they tend to rotate between corn, cotton, and milo. And I guess, sunflowers, but we rarely see fields like this. Corn and milo fields are pretty too, but nothing like sunflowers! And the cotton -- well, it's kind of blah... at least it's green, though! The sound of the wind in a field like this is wonderful! A constant rustle of their giant leaves against one another. I had to get close-up shots, too! I love the pattern of the seeds as they grow. Even the backsides are pretty. I think it's really amazing how full of pattern they are, and are so organic in their shapes and movement. Just how many seeds do you imagine one sunflower produces? Imagine how many seeds a field like this produces! It was the perfect way to spend a Saturday evening. Flowers in the sunshine... and do I see a cabbage moth?! A few years ago I did some international travel for the company I work for. I was able to do a bit of poking around Dublin, London, Paris, Taipei, and Sydney during off-hours, mainly on Saturday mornings. One of the things I think about when I think of these cities is flowers. They all had unique displays and variety. I'm glad I have photographs of places I've been and things I've seen to inspire my illustrations. 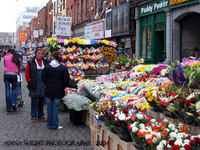 It was in Dublin that I took this photo of a street vendor selling flowers during Saturday market. I really like seeing all of the blooms tucked into buckets, just waiting. I have been asked many times about what inspires me and where I get ideas for my illustrations. It's true when I say life's experiences - they are what inspire me. Today you're getting a sneak peek of what some of that inspiration brought me! Why? Because I have the toughest time keeping secrets like this, and because I was given permission! So Sneak Peek away! The image is on shimmery white paper and colored with Copic markers. I bet you can't guess what this image is for! Or can you?! Hope you have a lovely Tuesday. 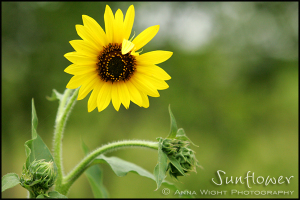 I thought it was fitting after my Sunflower Garden card to have a sunflower photo for my Photo a Day image! How lucky that we have some sunflowers blooming in the yard and I could actually get a photo! I took this photo earlier this evening. The cows and donkeys all thought I was out there to feed them, so they ALL came running up to the fence. Silly animals -- they need to eat GRASS! 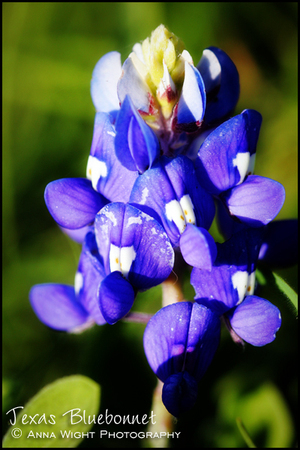 We are having the best year for wildflowers this year! It's really been amazing to see the variety of the flowers. 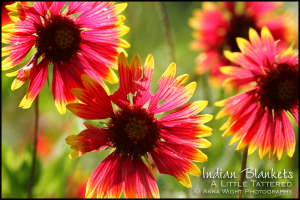 Most of the Mexican Hats and Indian Blankets have gone to seed, although there are a couple of really nice looking plants still blooming in the backyard. Now it's the sunflowers that are scattered around, showing their sunny faces. They're growing in some of the farming fields, along the roadways, and along fence lines. This one is growing in our backyard, near the fence where we keep the round bales for the cows. The seeds must have been in the hay. There are a few more sunflower plants growing near this one, but they haven't started to bloom yet. Soon!! We had a "spontaneous storm" yesterday (I think that's what they call it when they get the weather forecast wrong), and we got about 1/2 an inch of rain in about 15 minutes. It POURED. 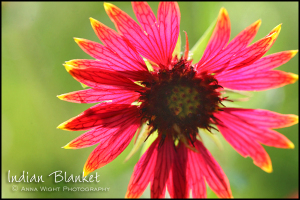 I took this photo of the flower a couple of hours after the storm. I am amazed the flower survived so well! I've been working on a little project for myself lately that requires me to go through my photo archives. I've had some really wonderful memories brought back just by seeing a face, or place, or emotion I've captured with my camera. 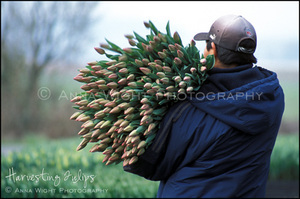 I took this photo of the field worker the same day while I was visiting the tulip farm. It was taken as the moment happened (in other words, it wasn't staged or posed). I really love the lighting, the composition, and the story the photo tells. I've got to wonder how many beautiful people enjoyed those very tulips for Easter, or birthdays, or just because. I've entered this photo in competitions, and while it always scored well it has never been a prize winner. Comments from judges were always about the desire to see the workers face. But to me, this image isn't about seeing his face -- it's about the tulips and the harvest. 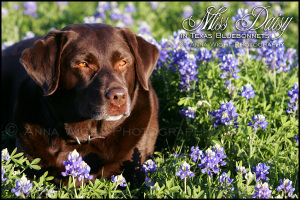 And although I've brought this photo home several times without prizes, it still remains one of my favorites.